The phrase “Mission Accomplished” aptly describes the recently concluded Vacation Bible School Experience hosted by the Jamaica Union Conference of Seventh-day Adventists (JAMU) from Friday. March 29 to Sunday, March,31 at Camp Verley. According to Dr. Lorraine Vernal, Family, Women, Children and Adolescent Ministries Director at JAMU from the conception of the programme, prayer was a main focus for making the Experience a reality. All presentations were interactive and included topics such as “The value of the VBS Experience, Growing Healthy & Happy Children, Faith Development in Children, Catering to the 21st Century Child, Creating VBS, and How to Use Object Lessons in teaching Children. Some of the highlights included the ASI Missionary team demonstrating how puppets could be used to minister, the NEWSTART Prayer Trail, the presence of the Inter-American Division Publishing Association (IADPA) as leaders were exposed to our many resources which can enhance VBS, and the Saturday night social aimed at showing the importance of games. 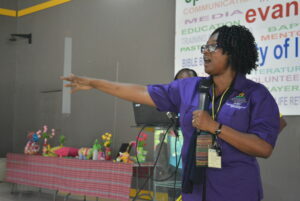 The atmosphere of the three-day workshop, which was attended by more than 150 participants from across Jamaica, was punctuated with a variety of children songs as well as health and social interaction tips done by children. The ambiance in the main area exuded a child-friendly flavour which some attendees described as refreshing and inspiring. The programme has been different and relaxing in that how the presentations were done were down to earth and easy to grasp,” said Jason Brady, Children Ministries Leader, Lewisburg Adventist Church in St. Mary and one of only five males who were in attendance. “The prayer trail was quiet and relaxing. It enhanced my mind-set spiritually and teaches that you can have a new meaning to things already known. It also highlighted the things we take so much for granted such as the sun. The value of the experience brought new life to my Christian experience. I believe more males should be involved in the care and nurture of children,” Brady concluded. On Sunday there were Craft and Sample Stations. Specialists from all the Conferences displayed as well as taught individuals how to use craft in lessons and how to make smoothies, juice and sandwiches. 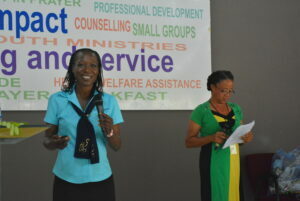 As is the norm, the weekend activities included worship and prayer sessions, which were chaired by on-site Chaplain, Dr. Doreen Morrison, Women’s Ministries Director of the North East Jamaica Conference. 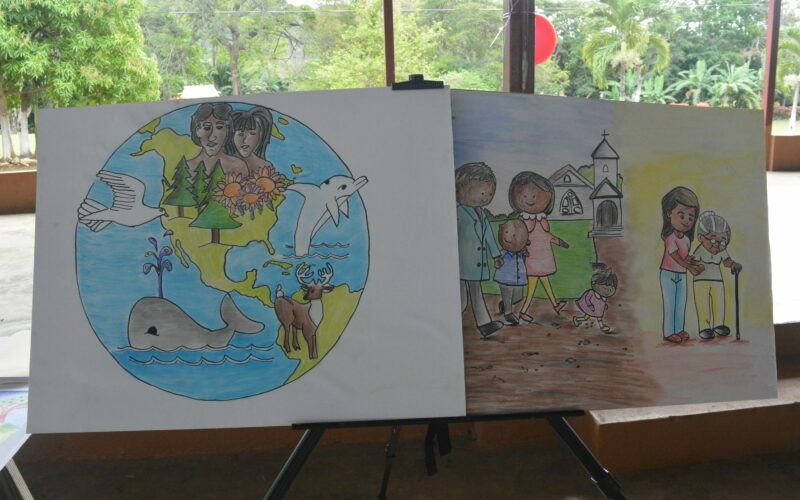 Participants were provided with sample VBS booklets created by JAMU as well as some Conferences, a colouring book compliments of JAMU, as well as spot prizes and surprises. 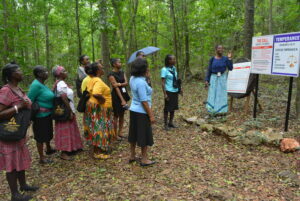 Participants listen keenly to information that was presented on the Prayer Trail. Based on feedback from participants Dr. Vernal says “Well done” to her team. 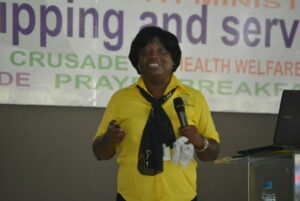 She believes that Vacation Bible School has been restored to its rightful place in the minds of the Leaders. “It offers so much potential for empowerment but it is often left up to one or a few persons to do and sometimes there is none, because of lack of resources or personnel. The weekend showed participants that with prayer, proper planning, collaboration, use of our resources and personnel we can nurture and equip our children,” Vernal added. Children have come to Christ through VBS and so she (Vernal) is appealing to Pastors and Leaders to continue to give their wholehearted support.